Gujarat Government Dhwara Karel Paripatra Mujab Darek Primary School Ma Period method Amli Karvama Aavel Chhe. 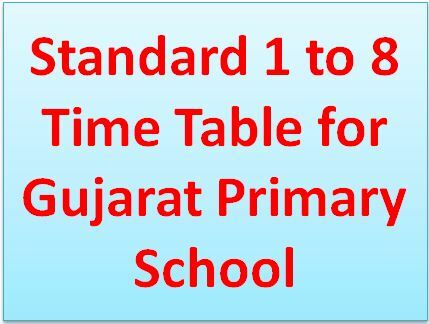 Jena Mate Upyogi GCERT Na Niyamo Mujab Banavel New Standard 1 to 8 Time Table Niche Aapel Link Parthi Download Kari Shako Chho & Must Share With All Teacher Friends. Thanks To Mithun Patel to Share This Posts.